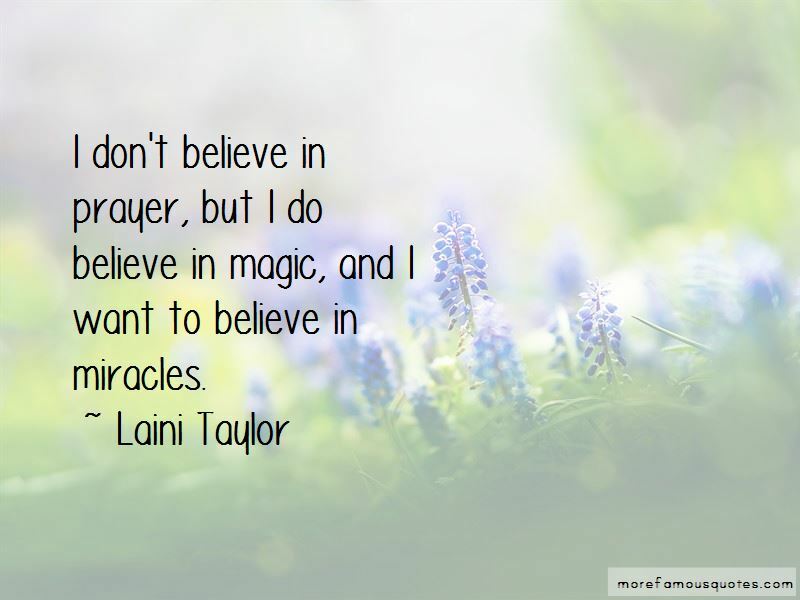 Enjoy reading and share 31 famous quotes about I Do Believe In Magic with everyone. “I believe in magic. I believe our destiny is not carved in stone and that one thought is the seed to a new life or a different path. I believe in the power of the cards to illuminate what you already know and to awaken the wisdom inside of you. I believe how we think and experience life matters and I believe in the power of the cards to shift our thoughts and therefore create more positive experiences. “If you're such a genius, you wouldn't believe in magic." “You have such an odd relationship to your environment," mused the man. "Such a paranoid relationship. You seem intent on existing in smaller and smaller spaces, filled with more and more gadgets, with the mistaken impression that this will give you more control over your lives. There's something a little impious about it." "Nothing wrong with gadgets," muttered Alif. 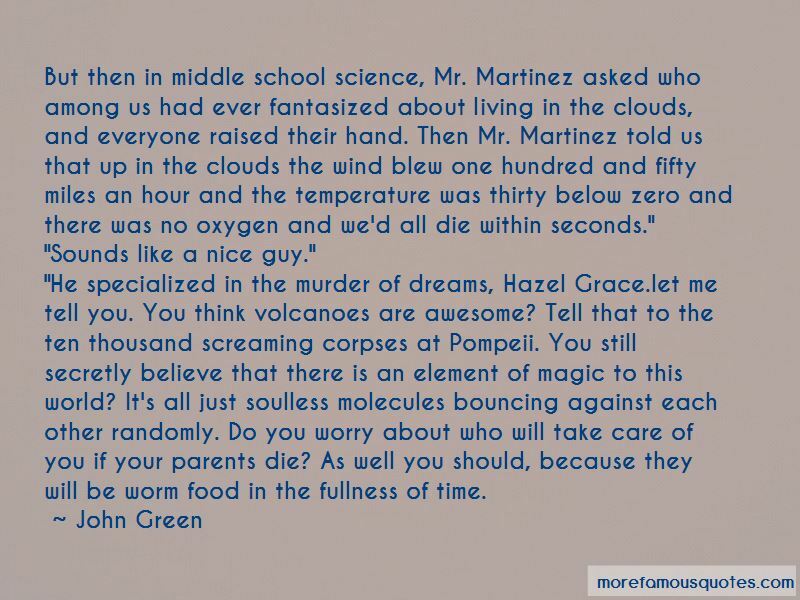 “But then in middle school science, Mr. Martinez asked who among us had ever fantasized about living in the clouds, and everyone raised their hand. Then Mr. Martinez told us that up in the clouds the wind blew one hundred and fifty miles an hour and the temperature was thirty below zero and there was no oxygen and we'd all die within seconds." "Sounds like a nice guy." “"How do you do that?" I ask. "How do you always turn everything around on everyone else? Manipulate even those who know better than to believe you?" Morpheus shrugs. "That's my power. My magic. Persuasion." "No. Your power is poison." My pride raises its head again. "Just so you know, there's something you'll never persuade me to do." He studies me, smug. "What's that?" Morpheus's jewels turn pale blue, the color of anguish, and I revel in the knowledge that I cut him. 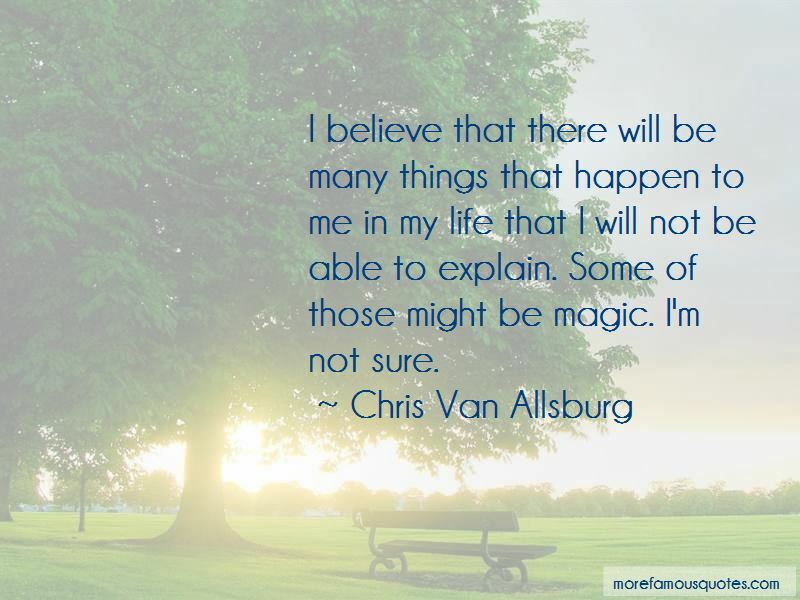 Want to see more pictures of I Do Believe In Magic quotes? 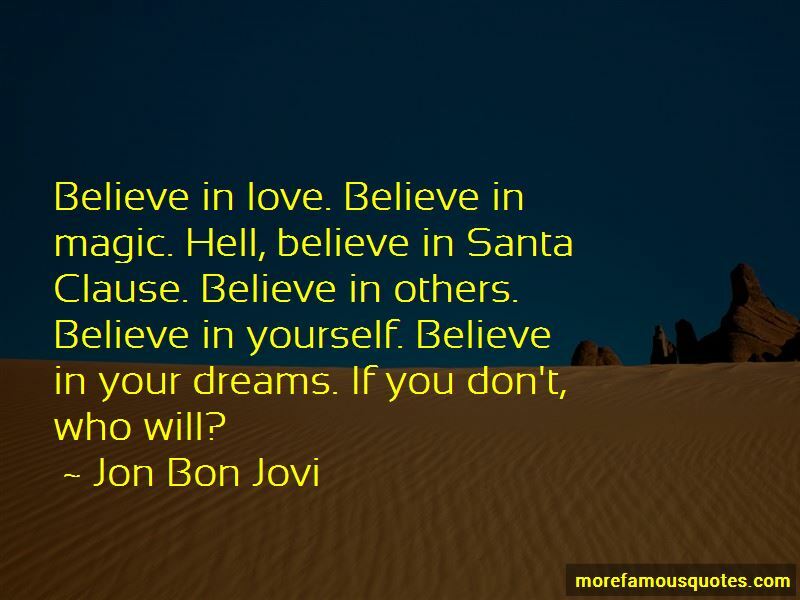 Click on image of I Do Believe In Magic quotes to view full size.